That once-forgotten schoolhouse along Ashburn Road is now known worldwide. 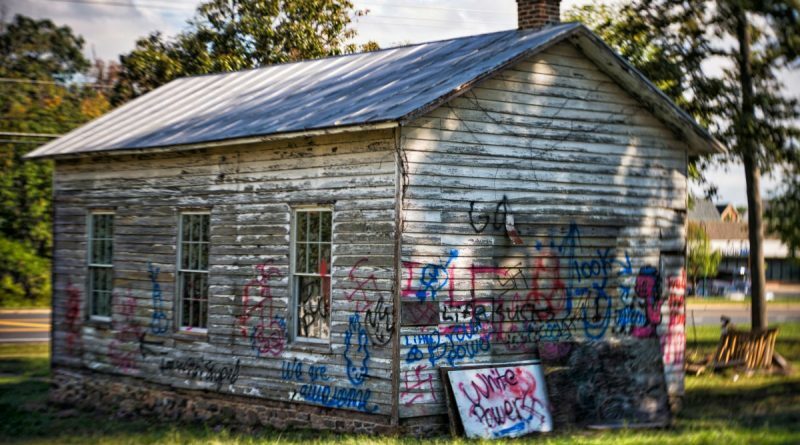 News that the historic Ashburn Colored School had been spray-painted with racist and obscene messages late Friday night has spurred not only outrage, but an international news story and global support. The vandalism comes 18 months after the Loudoun School for the Gifted had purchased the property and launched a fundraising effort to restore the building, which served Loudoun’s black students from 1892 to 1959. The small private school’s eighth-grade students had been tasked with the restoration effort, with the goal of turning the small, wood-framed building into a museum on the history of education. The project’s GoFundMe site had shown the students raised $6,000 toward a $14,000 goal as of early Saturday morning. The full restoration effort is expected to cost about $100,000, but school leaders wanted to initially give the students a more attainable goal. By noon Saturday, they updated the donation page to boost the fundraising goal to $100,000 as news spread about the damage done to the school and donations began to pour in. By this morning, the page had raised close to $50,000. Money came in from people around the world, as the story, first reported here, was picked up by New York Times, Boston Globe, CNN and BBC. “Hope this horrible vandalism ends up being a blessing in disguise for your fundraising efforts,” a donor, Christine B., wrote. The largest donation, which was also one of the first, came in from Ashburn orthodontist Neal Kravitz at $7,000. Kravitz has been recognized by the Loudoun School-Business Partnership for donating more than $1 million to the county’s schools, specifically in the Dulles area. He said he and his family consider giving back part of their core values. The Loudoun County Republican and Democratic joined the effort Sunday when they announced they would offer a $1,000 reward for information about the vandalism. Combined with a Loudoun Crime Solvers award, the total award for information about the vandals comes to $2,000. Deep Sran, the Loudoun School for the Gifted’s founder and academic lead, wrote in a column written for Loudoun Now this morning that the past 48 hours illustrates that the hateful acts of a few can be overshadowed by the generosity of many. A Community Day of Service is planned for 9 a.m.-2 p.m. Sunday at the Ashburn Colored School, at 20579 Ashburn Road. Details and a list of needs for the project has also been posted here. Tear it down and use the money to send a kid to college.